94, of Crown Point and formerly of Lowell, passed away Saturday, January 26, 2019. She is survived by her daughters, Jan Felder, Crown Point, Christy (Alan) Taxon, CA, Gayle (John) Simon, Cary, IL; 8 grandchildren, 15 great grandchildren, 1 great-great granddaughter and several nieces and nephews. She was preceded in death by her husband, William, daughter Amy Taylor, sons in law, Clayton Taylor, Tom Felder and a sister Mary Kepshire. Shirley was a member of Crown Point’s St. Christopher Episcopal Church and Youche Country Club, a longtime and oldest living member. 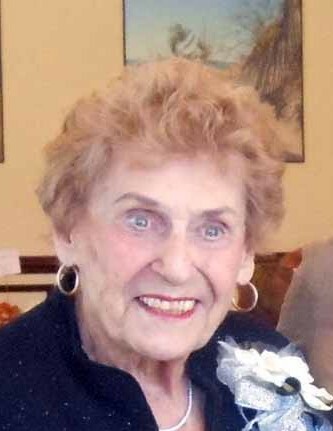 She was an avid golfer, a WWII Navy WAVE Veteran and a member of Lakes Country Club. Visitation, Saturday February 9, from 10-2, Concluding with Funeral Services at 2PM, all at Sheets Funeral Home & Cremation Services, 604 E. Commercial Ave., Lowell. Burial will follow in Lowell Memorial Cemetery. In lieu of flowers, contributions may be given to her Church, Crown Point Library, or the Lowell Public Library.